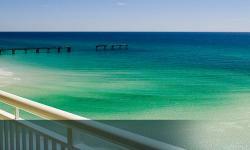 Gulf Blue Vacations located in Navarre Beach, Florida and with beach offices in other areas including Pensacola Beach and Gulf Shores, and Orange Beach, Alabama offers stunning Vacation Rentals on the Gulf Coast. Come and enjoy beachside living overlooking pristine sandy white beaches and turquoise waters, and choose from vacation condos, town homes, and Beach Houses. Gulf Blue Vacations takes care of you and even provide special group rates for your dream wedding, special event, business retreat or golf outing, whatever the special occasion, they even offer advice on dining, catering, outdoor excursions, golf and activities.